Trane offers the highest in quality and reliability according to Consumer Reports, and OneStop Pro offers the best in service, installation, and repair. Combined, our end result is second to none. Upgrade your Comfort, Downgrade your utility bill...If you are in the market for a new heating system, our Comfort Specialists have you covered. 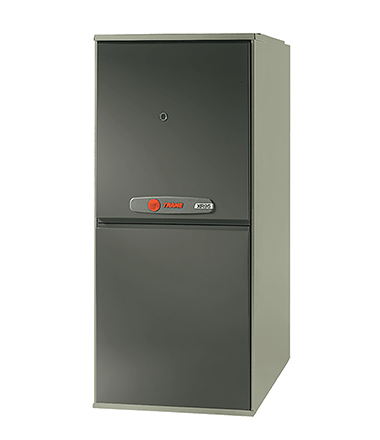 Designed to deliver reliable and economical warmth, Trane® furnaces have efficiency ratings from 80% all the way up to 98.2% AFUE. Many are ENERGY STAR® qualified, which means they can significantly lower your furnace utility bills, compared to conventional models. Trane’s top of the line furnace features the industry’s first true communicating, fully modulating gas valve, and an AFUE of up to 97.3%. Thanks to ComfortLink™ II technology.